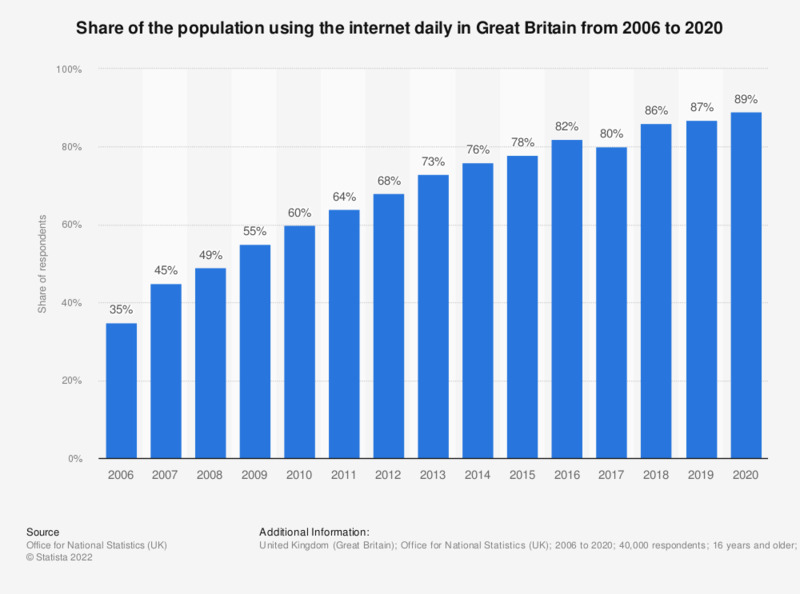 This statistic represents the penetration of daily internet use in Great Britain from 2006 to 2018. In 2018, 86 percent of the population used the internet daily. Penetration of daily internet use grew from 35 percent in 2006.